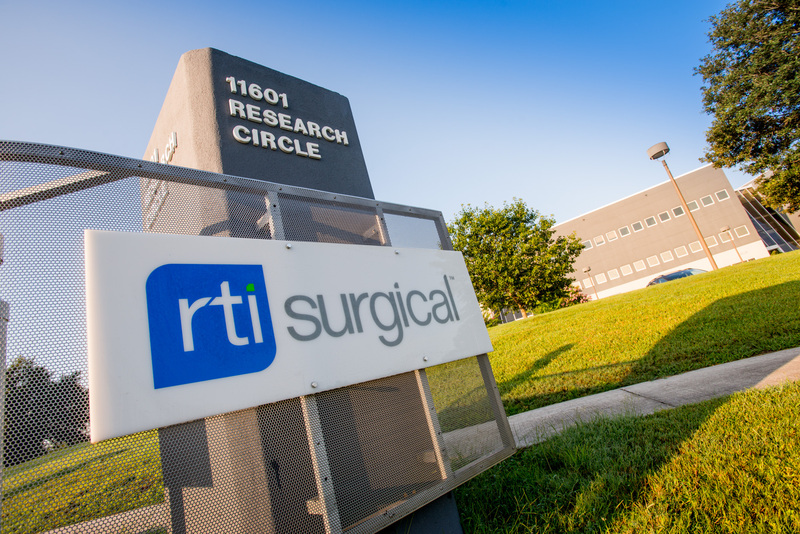 ISS Recommends That RTI Surgical’s Stockholders Vote "FOR" all of its Director Nominees on the <u>WHITE</u> Proxy Card - RTI Surgical Holdings, Inc.
ALACHUA, Fla. (May 16, 2016) – RTI Surgical Inc. (“RTI” or “the Company”) (Nasdaq: RTIX), a global surgical implant company, today announced that Institutional Shareholder Services (“ISS”), a leading independent proxy advisory firm, has recommended that RTI stockholders vote the WHITE proxy card FOR all seven of RTI’s highly qualified director nominees: Peter F. Gearen, Brian K. Hutchison, Thomas A. McEachin, Jonathon M. Singer, Paul G. Thomas, Nicholas J. Valeriani and Shirley A. Weis. ISS also recommended that stockholders do not vote on the dissident’s green proxy card. The Company’s Annual Meeting of Stockholders will be held on May 26, 2016. Commenting on the report, Curt Selquist, Chairman of the Board of Directors, said, “We are pleased that ISS supports the election of all of RTI’s nominees and recognizes the fact that our board has been significantly refreshed. The company is making considerable progress executing its plan to grow revenue, increase profit margins and enhance stockholder value. RTI’s slate of nominees represents an array of experience that the Board believes will be instrumental in helping RTI to capitalize on the opportunities in our market and enter our next chapter of growth." RTI stockholders are reminded that their vote is important, no matter how many shares they own. To follow the recommendations of the RTI Board and ISS, stockholders should vote the WHITE proxy card FOR all of RTI’s highly qualified and experienced nominees: Peter F. Gearen, Brian K. Hutchison, Thomas A. McEachin, Jonathon M. Singer, Paul G. Thomas, Nicholas J. Valeriani and Shirley A. Weis. Stockholders who have previously submitted the green proxy card voting in favor of the dissident's nominees or withholding votes from the dissident’s nominees can change their votes to favor RTI’s nominees by submitting the WHITE proxy card. Only the latest-dated, validly executed proxy card counts. Stockholders should disregard and not sign or return any green proxy cards. RTI Surgical filed a proxy statement with the SEC in connection with the solicitation of proxies for its 2016 annual meeting of shareholders. Shareholders are strongly advised to read RTI’s 2016 proxy statement and the accompanying WHITE proxy card because they contain important information. Shareholders can obtain copies of RTI’s 2016 proxy statement, any amendments or supplements to the proxy statement and other relevant solicitation materials filed by RTI with the SEC in connection with its 2016 annual meeting of shareholders free of charge at the SEC’s website at www.sec.gov, on the company’s website at www.rtix.com, or by writing to our Corporate Secretary at our principal office at 11621 Research Circle, Alachua, Florida 32615. RTI, its directors, and its executive officers may be deemed participants in the solicitation of proxies from shareholders in connection with its 2016 annual meeting of shareholders. Information concerning persons who may be considered participants in the solicitation of RTI’s shareholders under the rules of the SEC is set forth in public filings filed by RTI with the SEC and is set forth in its proxy statement relating to its 2016 annual meeting of shareholders.